Bizwaremagic.com posts the latest Hewlett-Packard discount coupons where alert shoppers can get up to $250 off popular HP products. New HP discount coupons where Holiday shoppers can save up to $250 on popular Hewlett-Packard printers, laptops, and desktop PCs. Bizwaremagic.com updates its site to feature the latest discount coupons from HP. Alert holiday and business shoppers can receive up to $250 off popular Hewlett-Packard printers, laptops, and desktop PCs. The current sale will run from December 14th to December 20th, 2014. This latest sale features some general coupons where potential buyers can save an additional $15 off any online order priced at $75 or more at the HP Home and Home Office. They can instantly receive 20% off on laptop and desktop PC purchases priced at $999 or greater. Some restrictions may apply, so customers are advised to see the official HP site for complete terms and conditions. The latest laptop Hewlett-Packard coupons include the following offers where shoppers can save $80 on the Pavilion 15t laptop with Windows 7, which is priced at $499.99. Receive $100 off the Pavilion 17z notebook computer, which is also discounted at $499.99. Potential buyers can also receive $70 off the Pavilion 500t PC with Windows 7 for around $479 and save $250 on the HP Envy 700xt desktop PC with Windows 7, which is priced at $649.99. Small business owners looking for a HP printer won't be disappointed, as they can receive $40 off the high quality LaserJet Pro 400 printer for around $229 and save $130 on the Color LaserJet MFP M476nw Pro printer for $399.99. The Bizwaremagic site runs a convenient Laptop Computer Guide where subscribers and patrons receive valuable laptop and computer buying tips and information. As a main component of this buyer's guide, many of the latest discount coupons from major computer manufacturers/retailers such as HP, Dell, Toshiba, Lenovo and Alienware are presented on the site. By taking full advantage of these discount coupons future buyers can save hundreds off their next computer purchase. 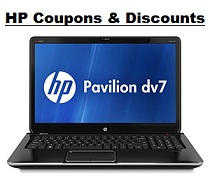 This special HP Notebook Coupons Page can be found here: http://www.bizwaremagic.com/HP_Notebook_Coupons.htm or buyers can download our comprehensive laptop buying guide, which is located on the same web page. All products/companies mentioned above are registered trademarks of their respective owners and companies.